It has become ingrained in many modern adults that "boys don't read". Anecdotal evidence often suggests that boys don't enjoy picking up books, and while this might be true of some boys it is obviously very particular both to the individual boy and types of reading materials. If you are interested in fighting the myth that boys don't read then take some time to observe boys' reading habits, talk to boys about reading, offer reading materials that will be of interest to boys and find reading role models for the boys you know. Observing boys' reading habits is the first step to fighting the myth that they don't read. Not only will you be able to see how often they read, but also what it is they prefer when they do read. This is often easier for teachers and librarians than it is for other adults who might not have a population of boys that they can observe at any given time. Checking what boys read during quiet reading in the classroom, how many boys seem to enjoy story time or otherwise being read to, what boys do when they Browse in the Library, the type of materials boys borrow from libraries, if boys pick up reading material other than books (newspapers or magazines), if boys enjoy reading particular websites, if books on tape work well with boys and if eBooks or reading books on electronic readers hold any appeal. 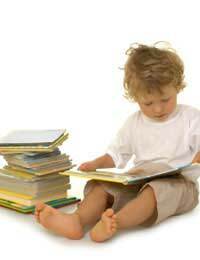 Allowing boys this time to develop their own reading interests will allow everyone involved to better prepare for their eventual movement to more sophisticated reading levels and a lifetime of reading. In addition to observing boys' reading habits, talking to boys about reading is an invaluable method of fighting the myth that boys don't read. You may want to let boys get all of their complaints out first, so ask them what they hate to read, why they don't enjoy reading at school or at home, where they'd rank reading as one of their hobbies, if there was any one person or event that caused them to not like reading. Then move along to the positives and ask them what they do like to read, what they'd buy if they were given book tokens to a local shop, what kind of books they wish someone would write, if they consider reading the sports page or a favourite website to be the same as reading a book, if they enjoy being read to more than reading themselves and what kind of books they would like to write. Also, don't be afraid to ask boys about their own reading history. Did they used to enjoy reading more? Have they enjoyed reading more since discovering a favourite new author or genre? Can they remember anything in their own lives that made them start or stop reading? The more answers you can get, the more you can formulate plans for helping boys find more enjoyable reading materials and ultimately fight the myth that they don't read. Once you understand the types of reading materials boys enjoy, purchase some. You can do this yourself for your home or classroom library, though you'll likely need to discuss your findings with the librarians at school and public libraries before acquisitions can be made. If there are no funds for new purchases, find out if you can work with librarians to put together guides to existing library resources. Reading lists in particular can be useful to boys who don't know where to find books they might like. Pathfinders, or lists pointing to resources on certain topics, can be very useful for finding nonfiction resources. Lists of suggested websites can steer boys towards sites with more text and therefore more reading. It should be noted, however, that boys may not pick up these resources themselves so they might end up being more use to adults who help boys find materials than to boys on their own. Even if and when boys do find reading materials they enjoy, many may still limit their reading to when they are at home and alone. This may be because boys believe that reading is a girl's hobby, or at least that society believes this. One way to fight this stereotype is to find some reading role models for boys. In the United States the American Library Association sells "Read" posters that feature authors, athletes and other celebrities who promote reading. Perhaps you could start a similar series in your community. But not all role models need to be featured on posters or other advertisements. Finding reading roles models for boys can be as easy as asking fathers, grandfathers, favourite male teachers, older male students and older brothers to read in front of boys and/or discuss how much they enjoy reading. This can not be a one-time only event, however, or boys may believe that these role models don't truly mean what they say. Fighting the myth that boys don't read will require some work. Observing boys' reading habits, talking to boys about reading, offering reading materials for boys and finding reading role models for boys are all great steps to helping boys find pleasure in reading.